Fluffy the cat is doing well after she was found injured and buried in snow in Montana last week. 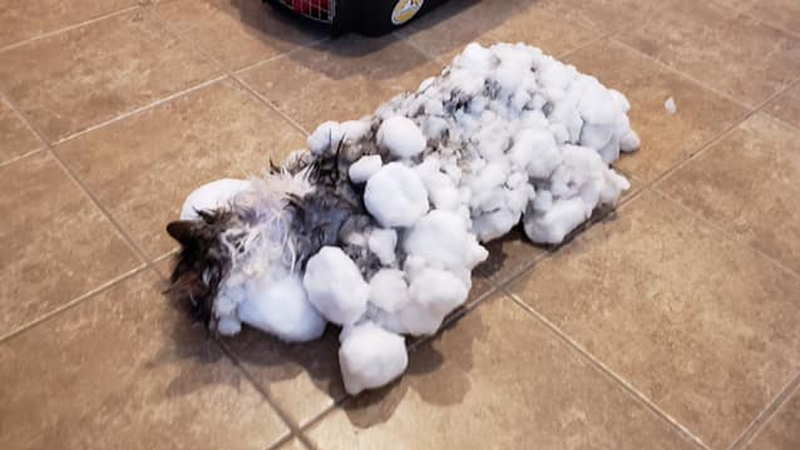 Fluffy's owners weren't home when she got stuck in the snow, so they aren't sure how it happened. The clinic shared a photo of the unfrozen Fluffy, showcasing her attractive, long fur. Amid the deep freeze that has swept across the USA, an astonishing sight greeted staff at an animal hospital - a cat frozen in snow. Her temperature was very low but after many hours she recovered and is now completely normal. They rushed her to a nearby animal clinic to get her examined. This feline may have just wasted one of her nine lives.